A journey about cooking, traveling, gardening, and crafting. A week has passed since our large Thanksgiving dinner and we’re slowly finding space again in our fridge. I think our puzzle skills have greatly improved this week fitting everything in. There has been a large dent made in the turkey with dishes created to used up the leftovers. There was the basic repeat Thanksgiving dinner but you can’t do that all week long so there has to be some creativity. I made my chili and just added turkey. I did add the roast potatoes and parsnips to that but that inched the dish closer to the weird side. But hey it cleared some valuable real estate. Last night I did a dish with leeks and tonight I think I’ll do up a curry dish. And don’t forget the sandwiches! It’s tradition to make turkey sandwiches. I made mine with homemade rosemary bread, melted cheese and the leftover cranberry apple sauce. So good I was a bit sorry the sauce ran out. I found a tip about cranberries from Jovina Cooks Italian which was to use some baking soda to dial down the tartness of cranberries so you use less sugar. Which in my family is perfect. 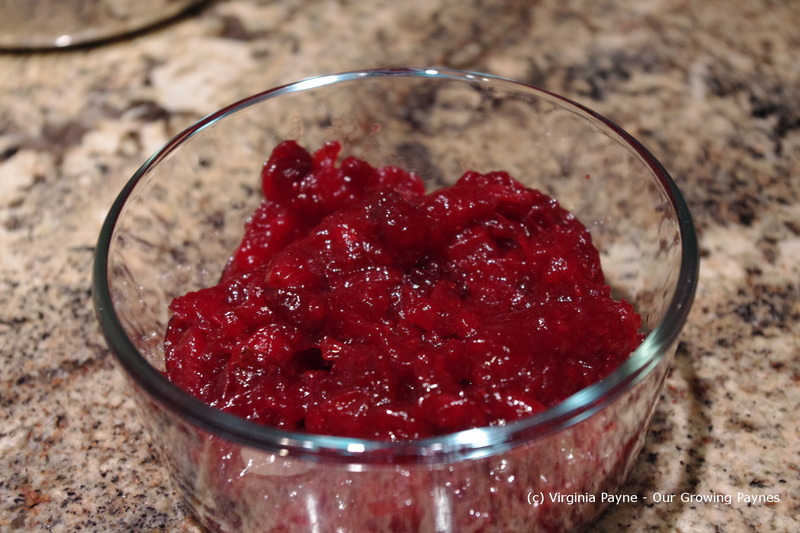 I made this cranberry sauce last year and wouldn’t you know it I forgot the orange juice again! On to plan B. Apples were one of the ingredients tying the whole meal together to I decided to use a bit of apple cider for this sauce. Again about 1 1/2 – 2 cups of cranberrys whole into a small sauce pan. Add about 1/2 cup of apple cider and bring to a boil then let it simmer for about 10 minutes. Jovina recommended 1/4tsp of baking soda but I tried 1/8 tsp first as I wasn’t making much and that worked well for this recipe. It will get all fizzy and bubbly. 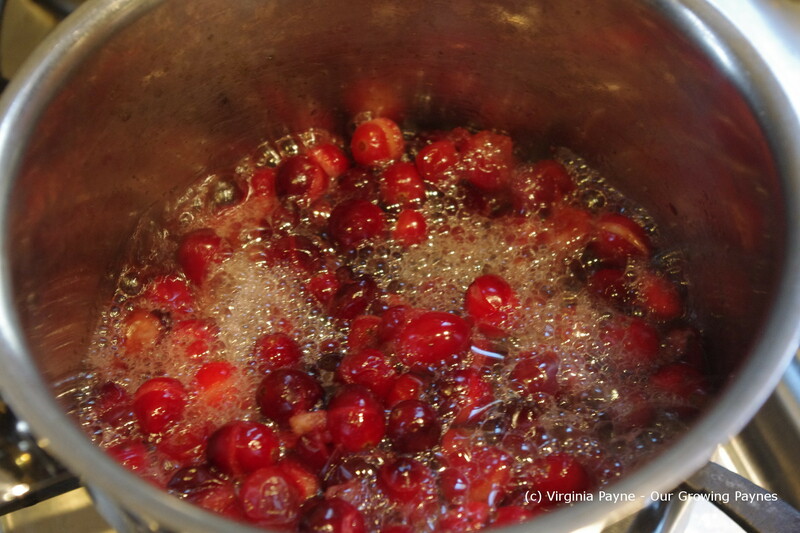 I added about 1/4 cup of sugar, which is such a small amount for cranberries, and stirred well. Cook until it thickens a bit and then let cool. It still had the cranberry flavour but the tartness wasn’t the strong note of this dish. It was much more mellow without being overly sweet. 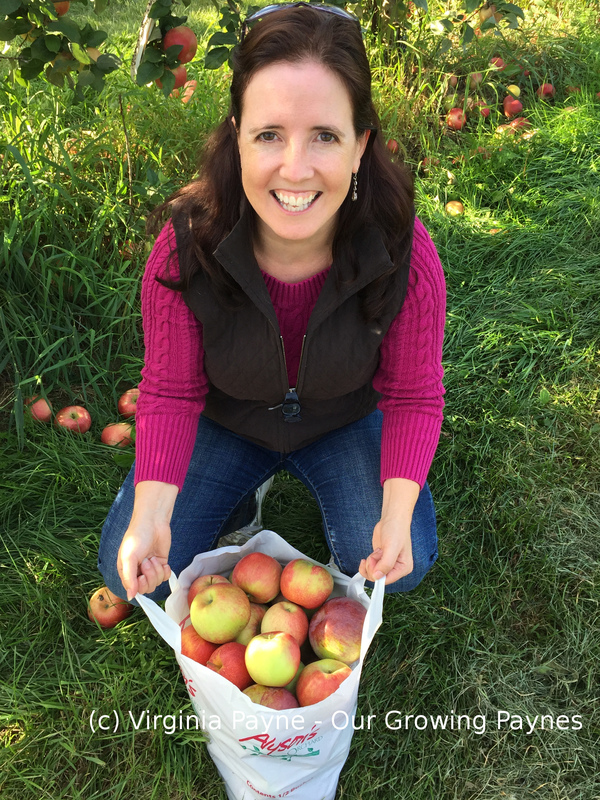 This entry was posted in recipes and tagged apple cider, apples, cooking, cranberry, cranberry sauce, food, thanksgiving. Bookmark the permalink. Very nice combination. Apples should give the sauce great flavor. This sounds so good! And I’m so glad you mentioned adding baking soda for the tartness. Adding sugar just makes it sweeter, not less tart, and your comment suddenly made me realize that what you’re doing is actually neutralizing the acidity of the cranberries– in other words, raising the pH level. I’ve just been studying this very concept relative to dyeing yarn (amazing what happens to the same dye color when it’s made either more acidic or more alkaline), and I’ve also heard chefs talking about balancing rich foods (say, salmon) with something acidic (like lemon). But I never made the connection about the pH level until just now! Thanks, Virginia!! Never thought of the pH but you are so right! 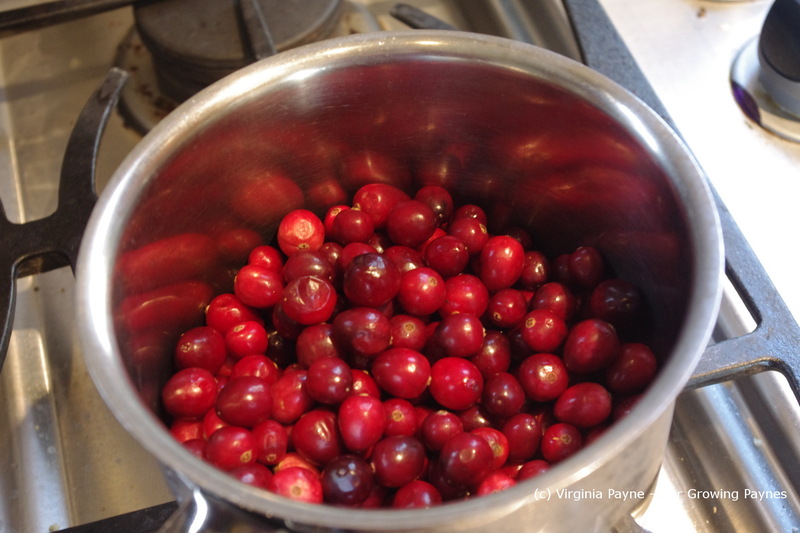 Very clever idea with the baking soda….if I ever come across fresh cranberries here, I’ll give it a go. It’s definitely a New England crop but I know some places in Europe grow them. Not sure how well though. This baking soda tip sounds like a winner. I like the idea of using less sugar in my cranberry sauce. Adding the apple cider is a great idea, too. Funny you mentioned finding space in your refrigerator again. For dinner tonight, I pulled the turkey stock and a small bag of chopped turkey from the freezer, using them to make a turkey risotto. Now I’ve room in both my fridge and freezer. Yay! I’m simmering down all the frozen tomatoes and now I can see what’s in my freezer! Crazy how full it gets.